Spanish tile stickers - This Spanish ceramic tile design will look amazing in your home. Whether is it placed in your kitchen, living room or bathroom. If you are going to put it in your kitchen, you do not need to worry about splashing water as our stickers are waterproof. 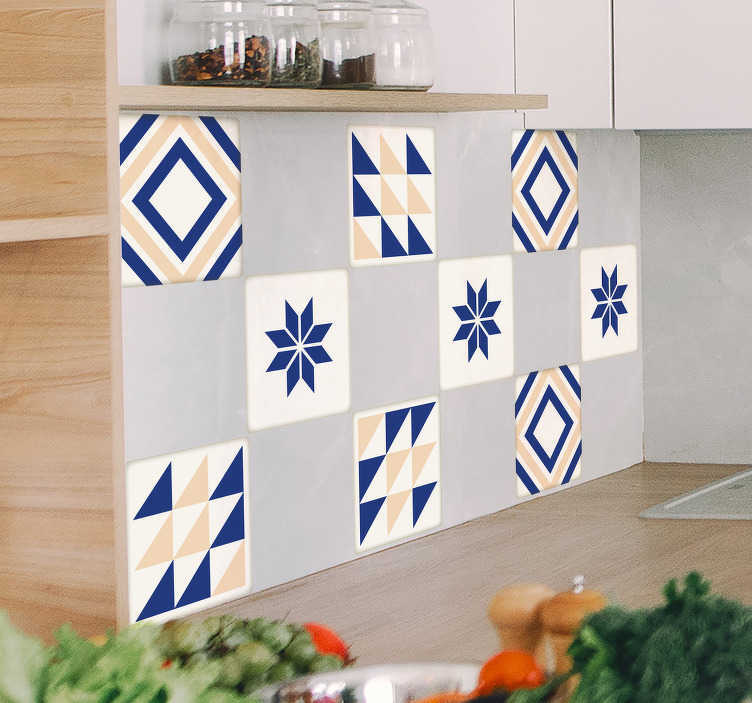 Give your home a unique look with geometric tile stickers and make visitors jealous of your interior design. Our geometric wall stickers are easy to apply an leave no residue upon removal. All stickers are made from high quality, anti-bubble vinyl.